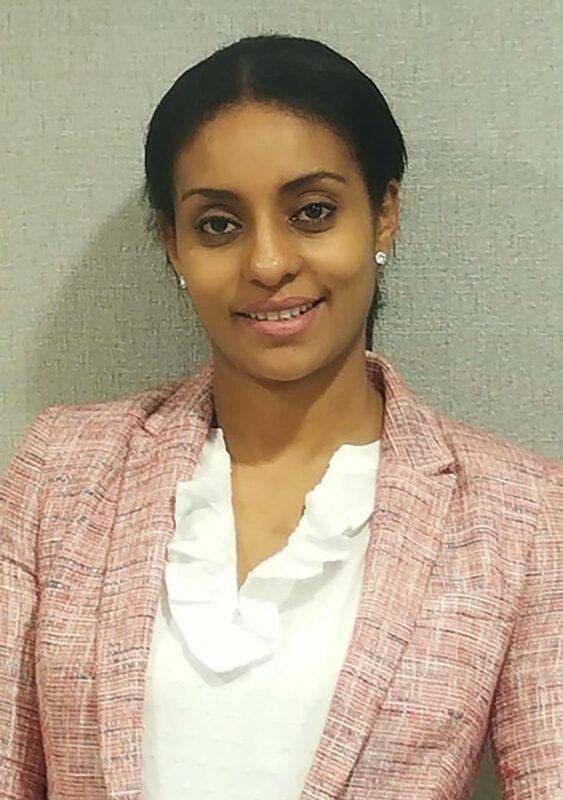 Bio: Tsion Tsegaye started at Colonial in 2007 working as a cashier at the Willard Hotel location. She was promoted to Shift Manager at the Courtyard Marriott and over time, she became Shift Manager for multiple locations. In 2009, she was promoted to Assistant Project Manager, returning to the Willard Hotel. I am originally from Ethiopia and I currently live in Washington, DC. I am a mother of two little girls, a wife and family-oriented person. I started working at Colonial 10 years ago and I have enjoyed working every day since. In my spare time, I love spending time with my family and friends. I also enjoy traveling and meeting new people. What are some of your regular duties as an Assistant Project Manager? As Assistant Project Manager, my main duty is to assist the Senior Operations Manager. I am primarily responsible for planning, monitoring and assisting my team with the daily operations of the facility and to provide excellent customer service. I also assist any position needed to ensure customer demands are met. In addition, I am involved in scheduling, reviewing daily reports and sending required documentation to the main office. What do you like about working in parking? I like working with people and working in parking gives me a chance to interact with different customers and a chance to help and resolve issues. I enjoy all the collaboration and team work that exists with work associates to resolve difficult situations. It is also challenging and exciting because no day is like the other. Why do you like working at Colonial Parking? I like working at Colonial because it has a friendly environment and culture that encourages everyone to be engaged and express ideas freely. Furthermore, the tone of respect, professionalism and kindness created by my immediate manager makes our work place productive and helps us to provide excellent customer service. It is a great privilege to work with such a group of people. I also like the opportunity and steps the company is creating to help women progress in their careers. What do you think makes you good at your job? Most of my time at work is spent leading my team efficiently to create an environment that excels in customer satisfaction. I think I am good at my job because I like to listen and build good relationships with my team and customers. I use my years of experience in leadership to solve issues that arise quickly and effectively. What are your goals at Colonial? My goal at Colonial is to continue to support and make valuable contributions to my team, to work hard by taking more responsibilities and to refine my skills for potential growth within the company.